I concluded that my navigator and my helmsman had had different frames of reference on how far a light-year was. It was pointless to reprimand them for the lack of standardization. The old king had outlawed commoners from possessing swords, but was distrustful of the low number of weapons being turned in. The nobility, afraid they’d be forced to hunt non-existent blades, quietly turned in swords from their households. But the old king was right. The old master’s knee had been sore for a week, but he assumed it would get better with rest. It didn’t. Ever optimistic, he was sure that the Just Peace would last forever, and he wouldn’t have to learn to fight while seated on a stool. Wizard wands were more effective if made of costly woods of course, or crafted by arcane artisans. Sometimes, personal circumstances could contribute to a wand’s potency. Mine was a wooden stake, previously wielded by a vampire hunter who had misunderstood my nature. “So help me Satan,” the President-Elect concluded, becoming President. I was watching the inauguration with my uncle on his old tube TV. “Well, at least he’s not an atheist,” Uncle Cletus said. Hrigga didn’t ride a broomstick like her sisters. Different messes needed different tools for cleaning, she figured. After the usurper’s execution, the king’s counselors reluctantly brought up their concerns. “A man should be free to dream what dreams come in his sleep,” they said. The witch’s birthday came and went with none of her sisters stopping by to offer their regards. Which suited the crone just fine. She needed bitter tears for her potions, and so she filled up a bottle for her supply. The troll shrugged in response to the question. 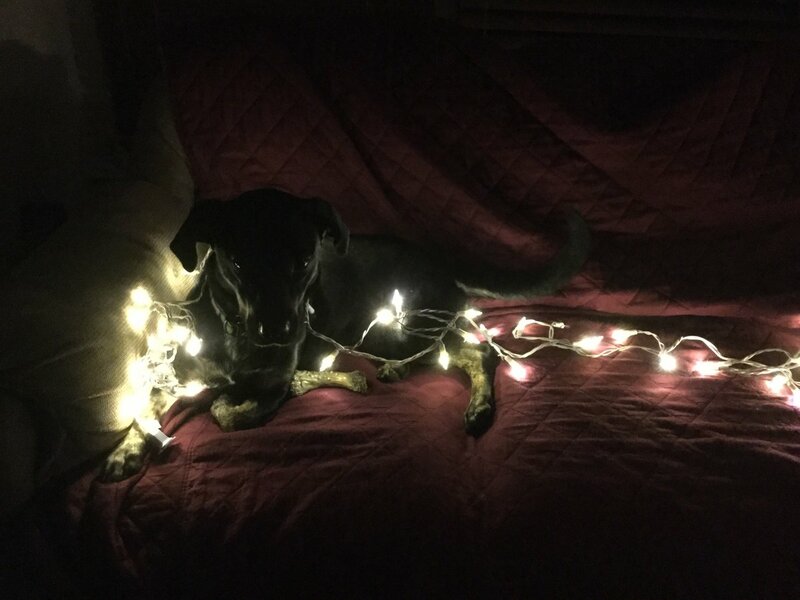 Header image was taken by me, of my dog Willow lit up spookily by some Christmas lights. I don’t care if people use the image for their own fun purposes, but proper credit would be appreciated.